Founded in 1896, the Merkur brand is the mark of quality in the wet shaving industry. Classic style with a polished chrome finish and a black handle make this heavy duty double edge safety razor the choice of many discriminating shavers. 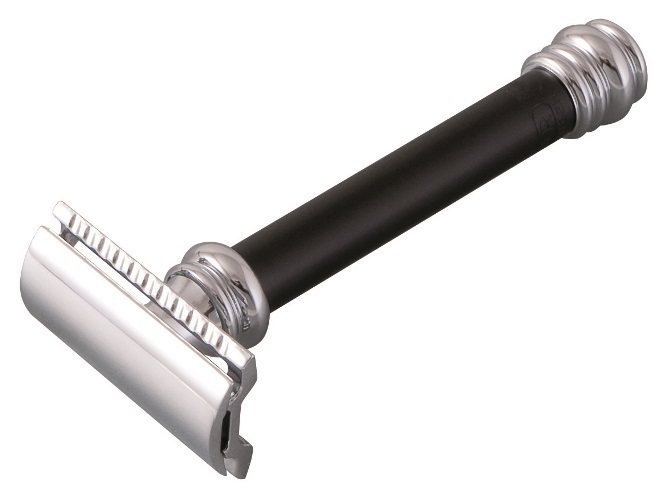 The safety bar keeps the blade away from your skin, yet close enough to get a smooth, close, comfortable shave..